Solahart have been offering Solar PV since late 2011. It took 3 years of R & D and real life testing to decide on which products we were going to offer. The suppliers of our equipment for Solar panels from day one has been REC Solar, with over 21 years of manufacturing experience and the largest European manufacturer they are a clear leader in the Solar panel manufacturing. REC's headquarters are based in Norway and all of their manufacturing has been completed at their fully automated state of the art factory in Singapore since 2010. Their return rate is less than 300 per million and Solahart hasn’t had one return in the 6 years selling REC. We currently use their 290w Twin Peak design, which is revolutionary in it’s design and operation it also won an intersolar award in 2015. The quick You tube clip below shows the twin peak advantage over any other panel in the market. For inverters Solahart offer SMA & Solar Edge. SMA is the clear market leader for string inverters, with over 35 years industry experience, German manufacturing and unrivalled reliability they are the no:1 choice for string inverters. We have had minimal issues and replacements on our door within 48 hrs. Solahart recently introduced Solar Edge into the inverter range. It utilises the DC optimiser technology compromising of a simple string inverter on the ground level & a DC optimiser on the roof underneath each panel. This allows each panel to work independently of each other whilst still connected in a string. Panel level monitoring is also included allowing the installer and user to make sure each panel is performing to spec. Solahart covers all the products we sell with a Solahart warranty,even if the manufacturer is no longer operating. 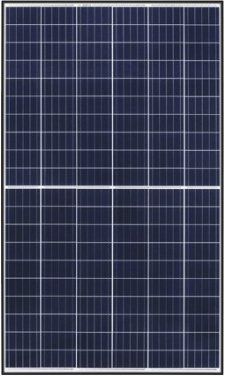 REC, 290w Twin Peak Panels - 10 year manufacturer and Solahart warranty on product. 25 year performance warranty provided by REC. DC Optimisers – 25 year manufacturer warranty 12 year Solahart warranty.